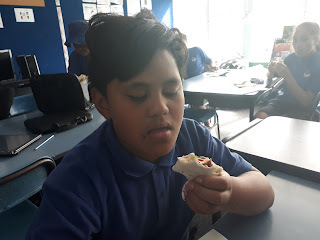 In class our lovely year 6’s made us some yummy and delicious burritos. I loved the the meat and the yummy vegetables in it. My favourite ingredient used in the burrito was the MEAT! 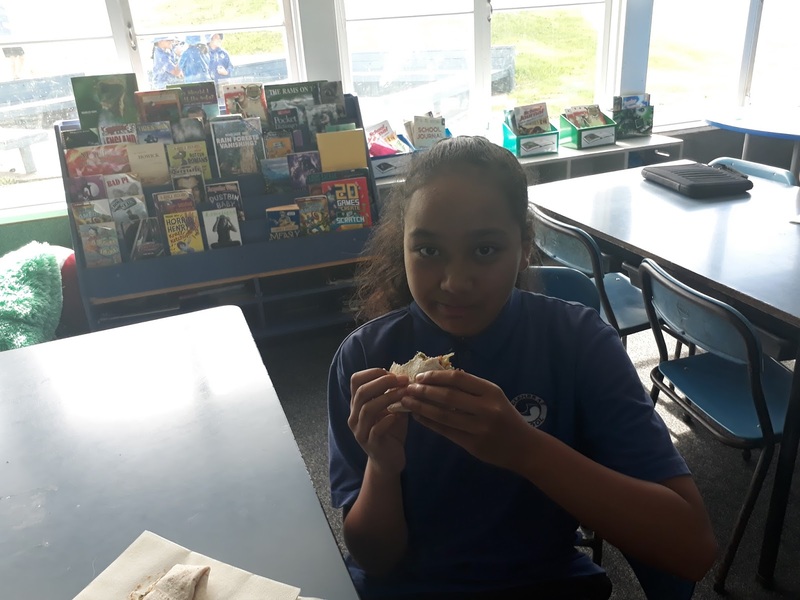 Our year 7's decided to use chicken instead beef because because cows fart and poop into the river. I am a big fan of chicken and I am very happy that they made it for us. Here are the photos of the burritos we ate. Im very glad that you enjoyed the burrito. What might you add or change to them if you were making burritos?